The Western Folklife Center is presenting two new exhibitions in its Wiegand Gallery, including the ceramic artistry of Tuscarora’s Dennis Parks and photographs of ranch life taken during the Farm Security Administration of the 1930s and 40s. Both exhibitions, as well as the Western Folklife Center’s permanent collection of contemporary hand-crafted gear, will be on display through December 9. Dennis Parks, Blue Warriors, 1994. Courtesy of Dennis Parks. Organized by the Nevada Museum of Art in Reno, this exhibition features the work of internationally known ceramist Dennis Parks and his son Ben Parks, both based in Tuscarora, Nevada. Selected works by both artists are for sale. Click here to see the Sales List. Visitors will see pieces from the Parks’ private collections and items drawn from the Dennis Parks Archive Collection housed by the Center for Art + Environment at the Nevada Museum of Art. Dennis Parks is perhaps Nevada’s best-known ceramist. He moved to Tuscarora in 1966, where he established the Tuscarora Pottery School. Parks pioneered a process of making ceramics using native clays that are single-fired in kilns fueled with recycled crankcase oil. Recognized for his innovative use of text, Parks often imprints written fragments from classical literature, political puns, and poetry onto his works. His stoneware has been honored worldwide for its wide range of inventive forms and his work has been exhibited in museums in more than 20 countries around the world. Parks has taught his unique firing techniques to audiences internationally, and he conducted workshops and lectures throughout the U.S. and abroad, including Australia, Belgium, Great Britain, Hungary, Poland, Russia, and the Czech Republic, as well as in Indonesia, China, Japan, and South Korea. Dennis’ son Ben Parks carries on his father’s legacy of ceramic artwork and a few of his pieces are on display and for sale through the Western Folklife Center Gift Shop. To learn more about Dennis Parks and his techniques, visitors can select from three books by Parks on sale at the Western Folklife Center Gift Shop. 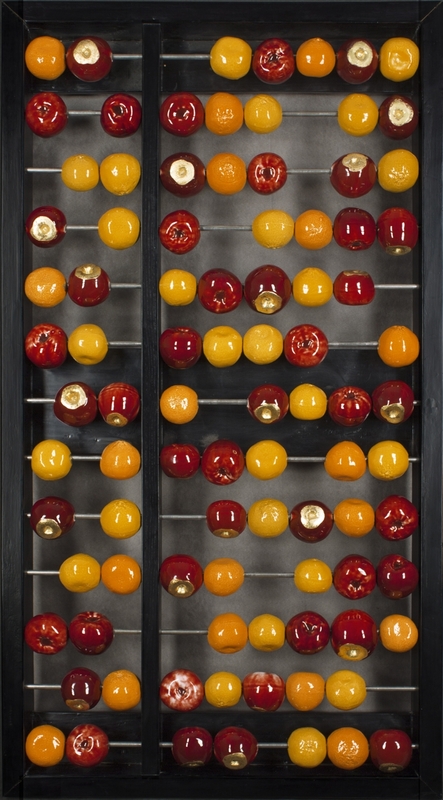 Dennis Parks and John Fahnestock, Abacus, 1995. Courtesy of Dennis Parks. Rounding up of cattle, Elko County, Nevada. Arthur Rothstein, March 1940. The Farm Security Administration (FSA) was a New Deal program created in the late 1930s to help farmers and ranchers suffering from the impacts of the Dust Bowl and the Great Depression. Some of the country’s finest photographers were enlisted to document the lives of everyday people in rural America. Between 1935 and 1942, photographers took 77,000 black-and-white photographs and 644 color photographs. The collection includes some of the finest and most widely recognized documentary photographs ever taken. Cowhand. Elko County, Nevada. Arthur Rothstein, March 1940. The best known of the FSA photographs were of Dust Bowl immigrants in Oklahoma and California, Depression-era soup lines, and farm life of states like Vermont and Kentucky, but the FSA photographers also visited the ranching country of the rural West. They documented cowboys at work, but they also looked at the everyday lives of ranching women and children. The result is an amazingly rich and personal record of ranch life of the period. 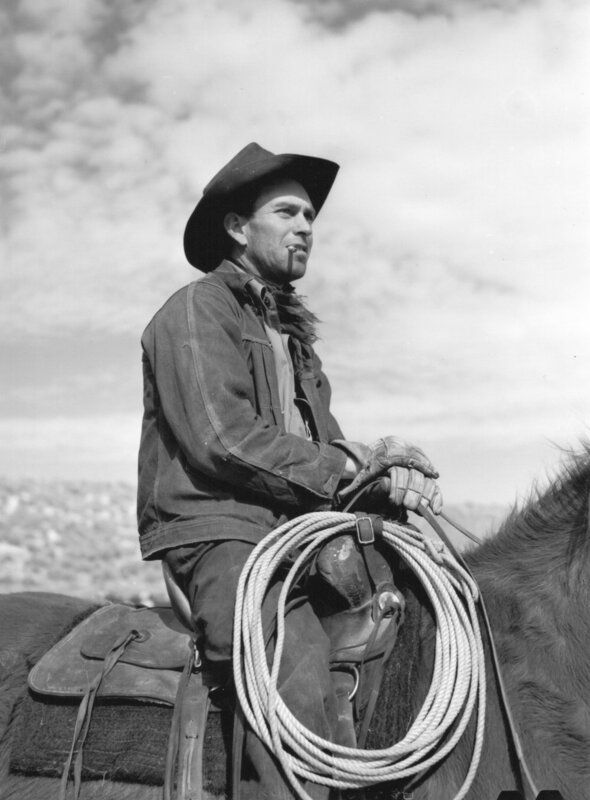 An Anglo rancher, Mora (vicinity), New Mexico. John Collier, January 1943. The photographs in this exhibition are taken from the book Way Out West: Images of the American Ranch, Photographs From the Farm Security Administration, 1936-1943, by former Western Folklife Center Executive Director Charlie Seemann. The book, which includes 125 photos and accompanying text, is available in the Western Folklife Center Gift Shop. Photographers in this exhibition include: Russell Lee, Marion Post Wolcott, John Collier, Jr., Dorothea Lange, John Vachon and Arthur Rothstein. The Wiegand Gallery is open Monday through Friday, 10:00 am to 5:30 pm, and Saturday, 10:00 am to 5:00 pm. It is closed Sundays and holidays. Admission is $5.00 for adults, $3.00 for students and seniors, and $1.00 for children ages 6-12. Western Folklife Center members are free, with a $3.00 charge for each adult guest. Admission is free on the first Saturday of every month. These exhibitions are supported by the Nevada Arts Council, a state and local agency, and the National Endowment for the Arts, a federal agency. The Dennis Parks exhibit is also supported by the Nevada Museum of Art.